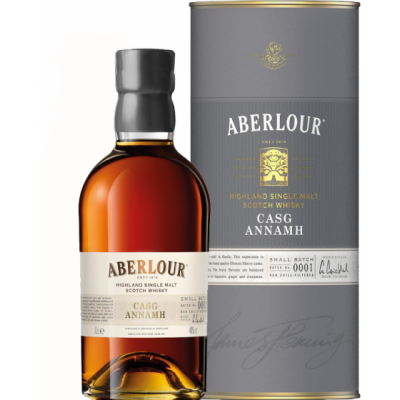 The Aberlour Casg Annamh Small Batch 001 is the first batch of the Casg Annamh series by Aberlour. Casg Annamh means so much as ‘rare cask’ in Gaelic and relates to the Oloroso sherry casks in which this whisky matured. This first batch was bottled at 48% ABV, non chill filtered and with no added colour.